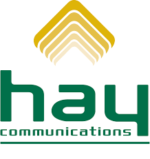 Short Business Description: Hay Communications provides services to both residential and business customers in southern Huron County. Services include: Internet, Cellular, Television, Phone Services and Security & Home Automation. Short Business Description: LRV Computing & Consulting sells tablets, laptops, desktops, servers, printers and everything computer, new and used. They also offer pickup and drop off services for computer repairs, and a Consultant to help you with your computer needs. Short Business Description: MacLeans Home Hardware is four great stores under one roof. Home Hardware, Source for Sports, The Source Electronics and Trailer Sales. Whether you are redecorating, remodeling or in need of sports equipment, MacLeans’ has what you need.